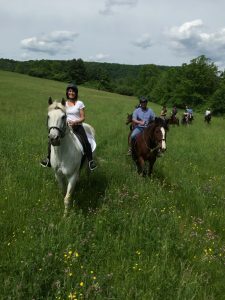 Year-round riding is a pleasure at Undermountain Farm.Whether you are riding in the protection of our spacious indoor arena, or happily trotting through lovely fields and woods, we encourage all levels of ability to enjoy the equestrian life at Undermountain Farm. We are located one mile from the center of Lenox and 1 1/2 miles from the front gate of Tanglewood, the summer home of the Boston Symphony Orchestra. 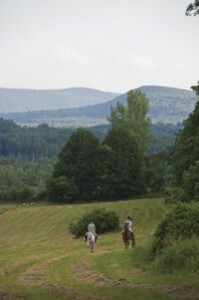 Our beautiful Victorian Farm buildings are surrounded by 150 acres of pasture, forest and hay fields. 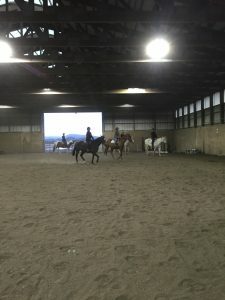 A large airy indoor arena (81 x 160), a spacious outdoor arena, and access to miles of riding trails provide ample facilities for your riding pleasure. We invite you to visit. 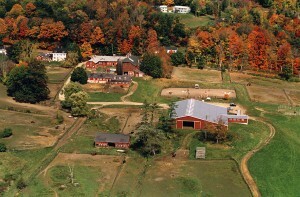 ©Undermountain Farm, Lenox MA 01240 • Log In .190(C) This camp must comply with regulations of the MDPH & be licensed by the LBOH.